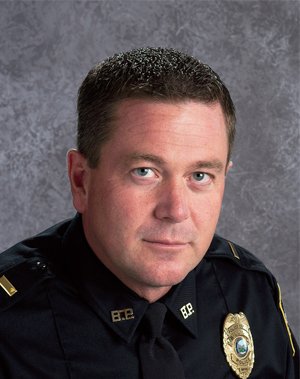 LT. Jeremy House was born and raised in Billings. LT. House started his Law Enforcement career as a deputy sheriff with the Richland County Sheriff’s Department in Sidney, MT. LT. House joined the Billings Police Department in 1992 and has worked in Patrol, Community Police Officer, Bike Officer, Street Crimes Unit, FBI Safe Streets Task Force. LT. House was an FTO and FTO Supervisor and was promoted to Sergeant in 2001. During his time as a Sergeant, LT. House was a Patrol Supervisor and K9 Unit Supervisor. In 2005 LT. House took over the Eastern MT HIDTA Task force. In 2008 LT. House was promoted to his current rank where he was assigned to nightshift patrol. In 2013 LT. House was assigned to Investigations Division.